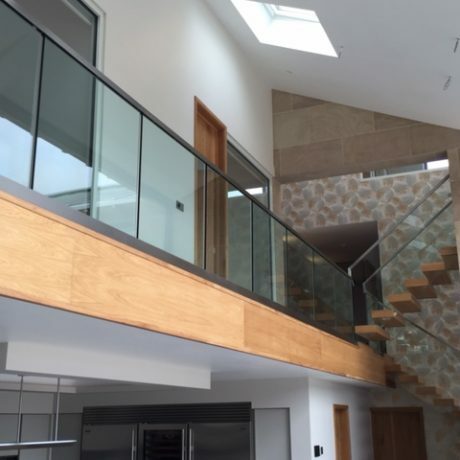 We are an innovative design based company which specialises in glass products providing a high quality service to architects, designers, construction contractors and private clients. 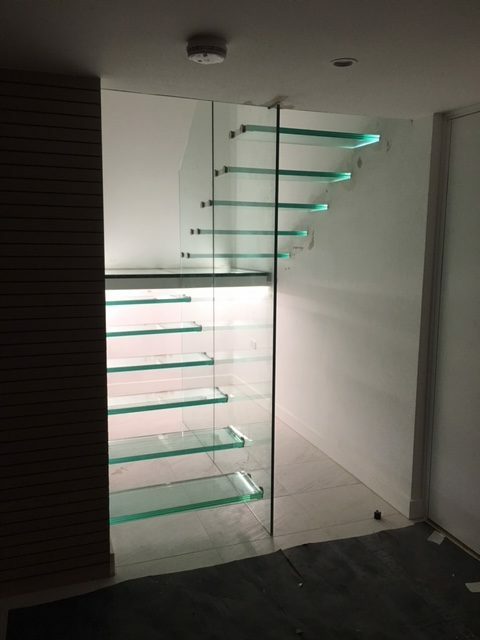 Combining our knowledge of glass with outstanding design and engineering skills to exploit it’s full potential to create many spectacular and imaginative ‘one off’ projects. 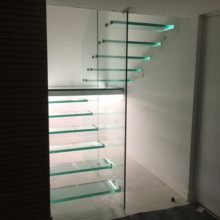 We provide an extensive range of exciting architectural products to commercial and domestic customers throughout the East Midlands, including glass staircases, glass splashbacks, glass worktops, glass radiators, frameless showers and coloured glass shower cladding, glass balustrades, frameless partioning, bespoke mirrors, structural glass, sliding doors, hinged glass doors and glass furniture. 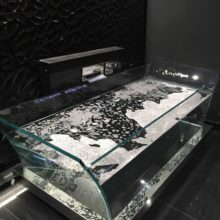 We offer a wide range of different colours, metallic effects and even graphics giving you the chance to create something individual, modern and hygienic. 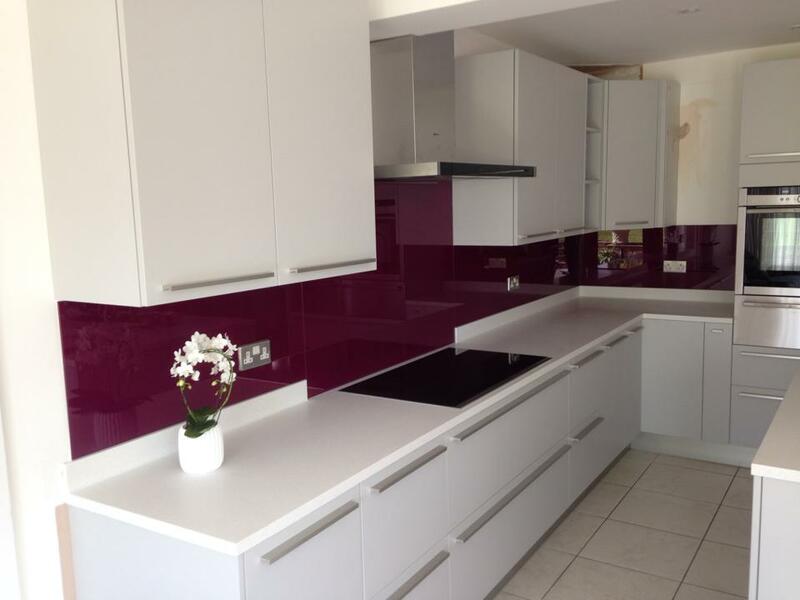 Any RAL, BS4800, Dulux, F & B or any other colour at no extra cost. 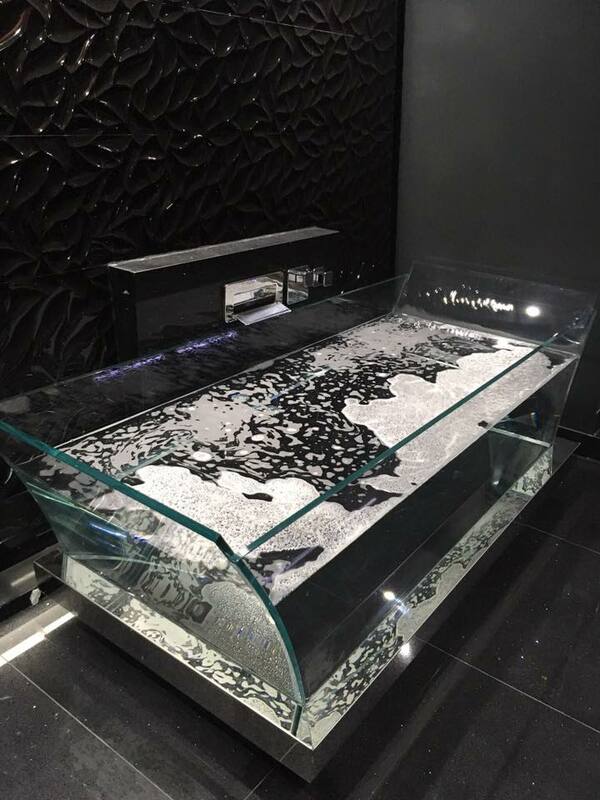 We offer you the complete package, from initial discussion and design, manufacture through to installation, we will transform your home or business and give it that ‘wow factor’. We pride ourselves on the quality of our work and our high level of customer service to give you that ‘personal touch’. 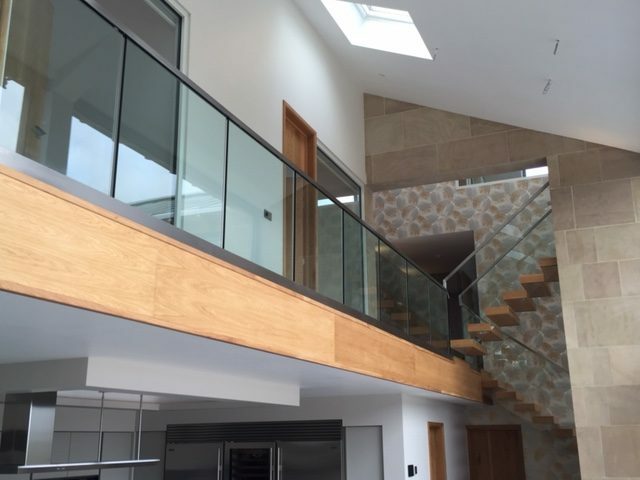 We can usually offer a 7-14 day timescale from placing your order to arranging installation. 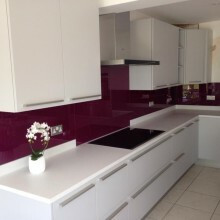 Please see the ‘Completed Jobs’ section in our gallery for recent examples of our work. Copyright © 2013 Nottingham Bespoke Glass. All rights reserved.